There are various types of rooms you can rent by the hour or day. They are all equipped to facilitate their intended use with minimum setup time. Please register as a user to easily book these rooms. You'll receive a personal code with which to enter the room for your practice, as well as a code for the building. 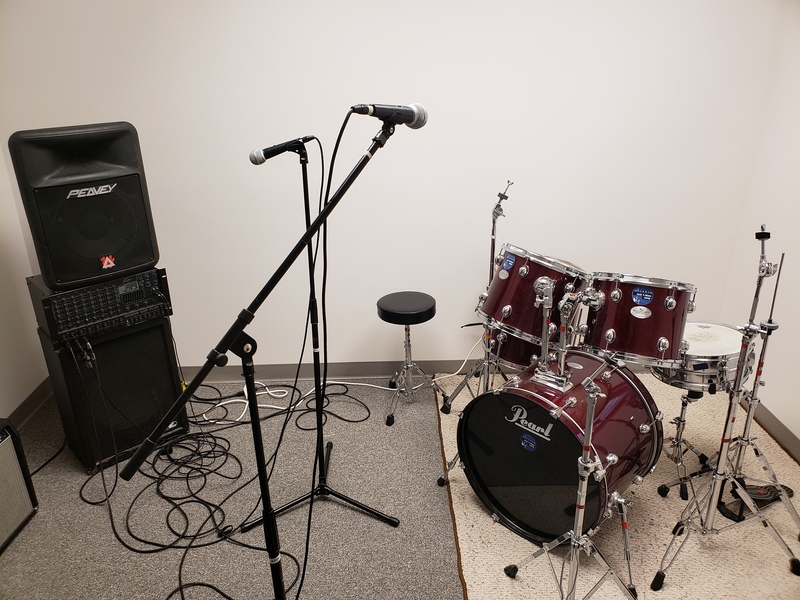 These rooms are equipped with music gear, allowing you to come in with your instruments and get right to practice! 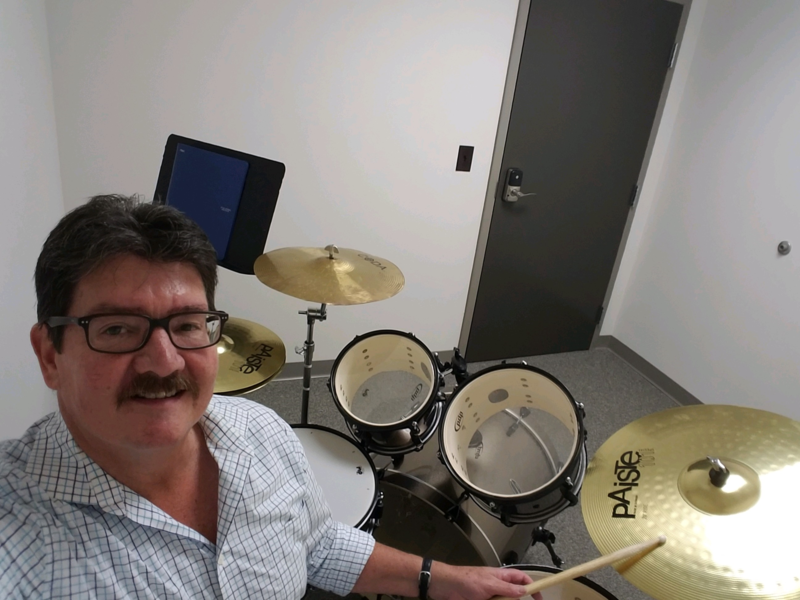 These rooms are perfect for practicing alone with your instrument! 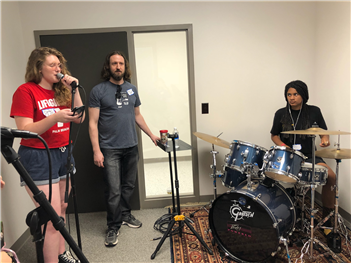 We have 3 empty rooms; which we are happy to set up with a chair and a small PA at your request, and one with a complete drum set. Simply create a profile, receive door codes, and go online to book your times. If you are a teacher in need of a professional environment to teach your lessons, these rooms are cost effective solution. Available by the hour, they are a way to start your teaching career, or get exposure to a new area, without a large upfront commitment. Each room has a window, and there is a waiting lounge in the teaching suite. 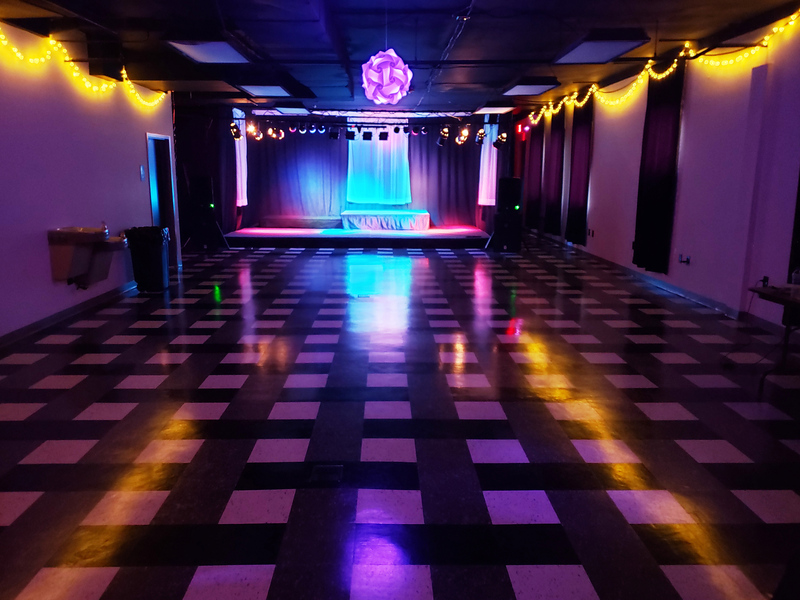 Live Room: This 1450sf event space is available to rent hourly (4 hour minimum) or by the day for your corporate event, party, or promotional needs. 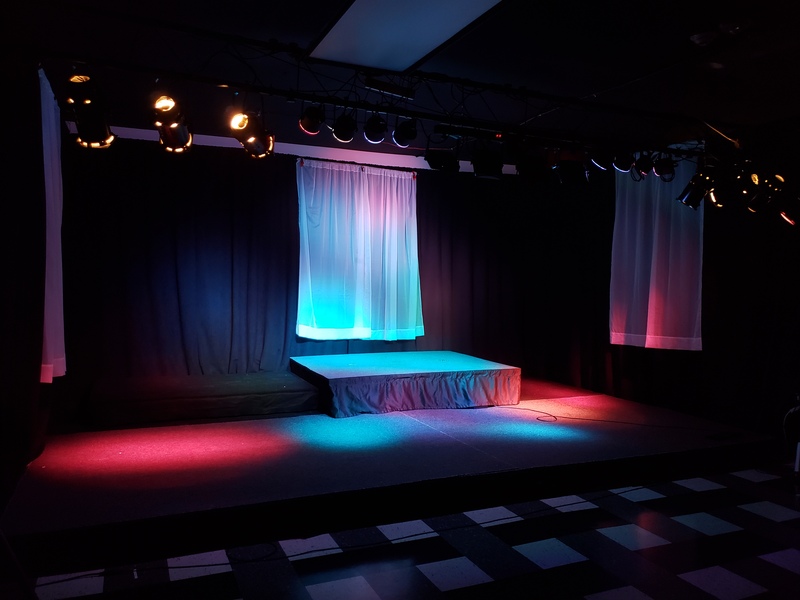 A full table and chair setup comes standard with this creative mixed-use space, and professional lighting and sound is available as an upgrade package. We will also have Rehearse Live sponsored concerts and recitals in this space. 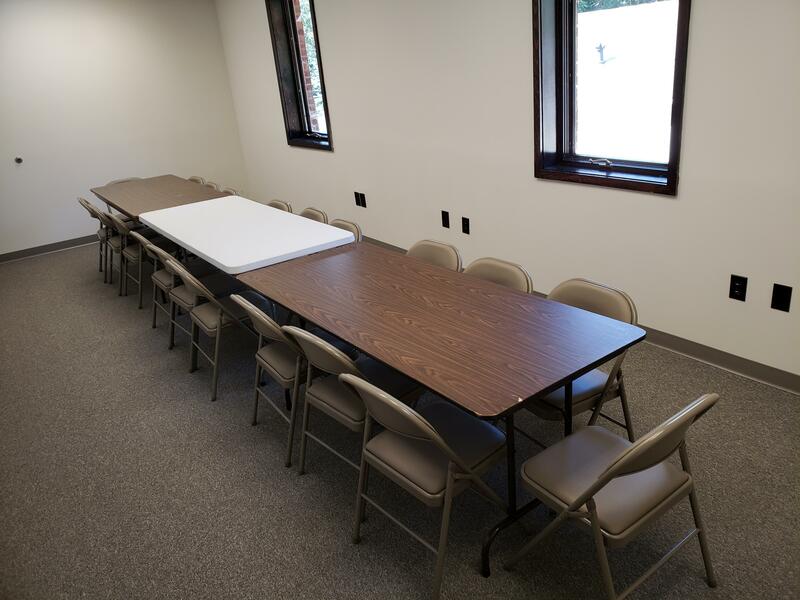 Conference Room: Our 273sf conference room offers an intimate creative space for your workshop, meeting or event. This conference room seats up to 30 classroom style, or 20 board room style. It is perfect for an offsite for your team to hunker down and get some creative work done. 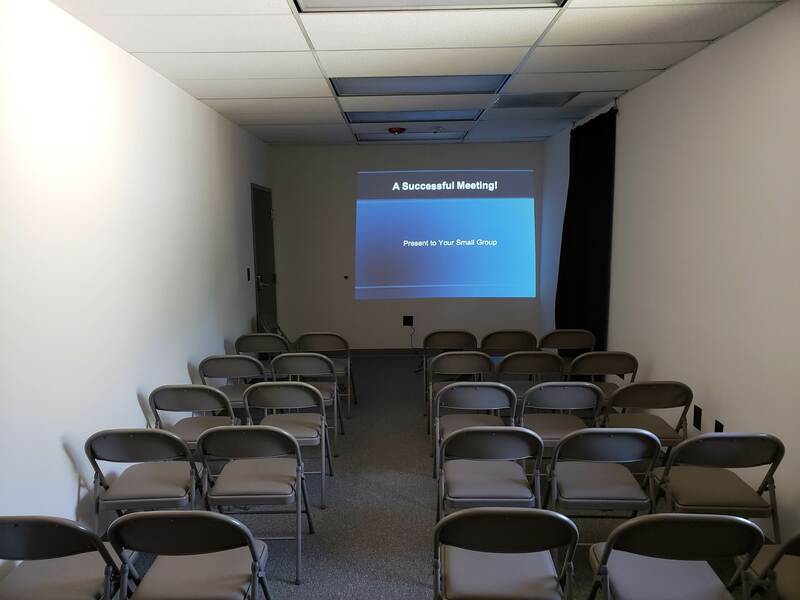 The room is equipped with a projector, tables, and chairs. Need a space all to yourselves, to setup as you like with your own gear? 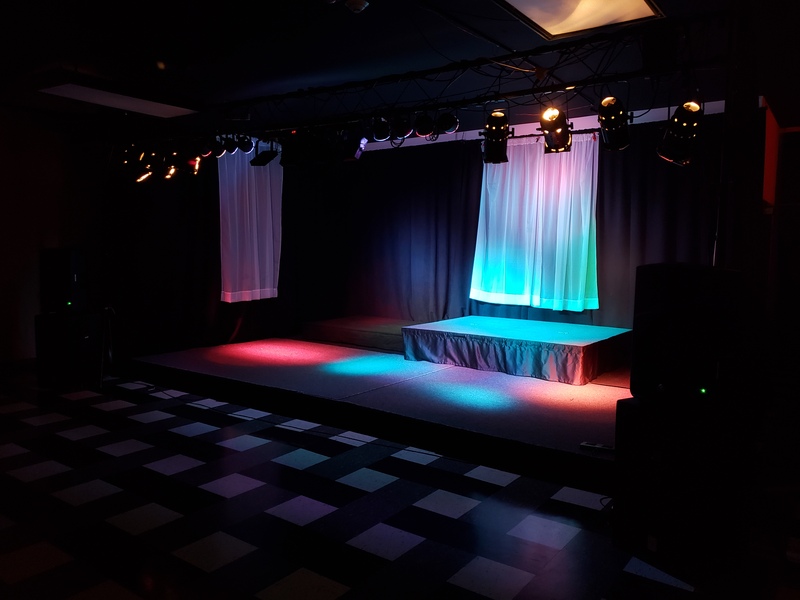 We currently have one 11x10 room available for rent right now! 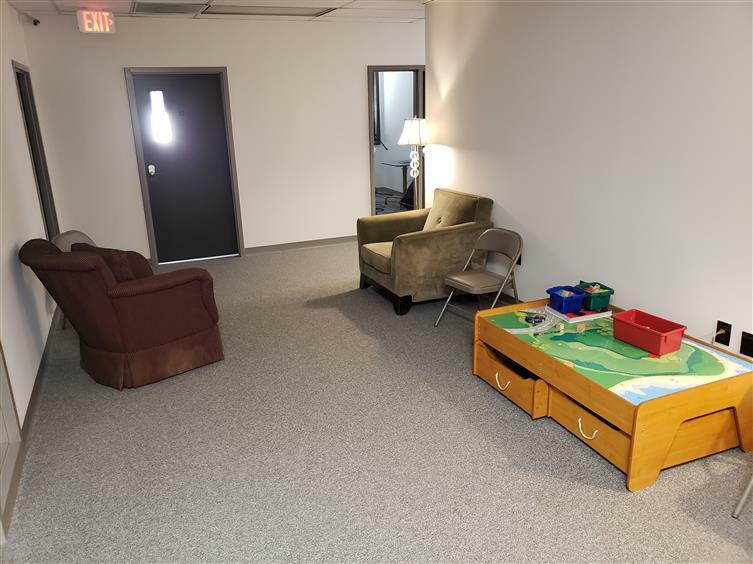 This "Lockout" room is priced at $350 and is available for month-to-month rental or a year lease. 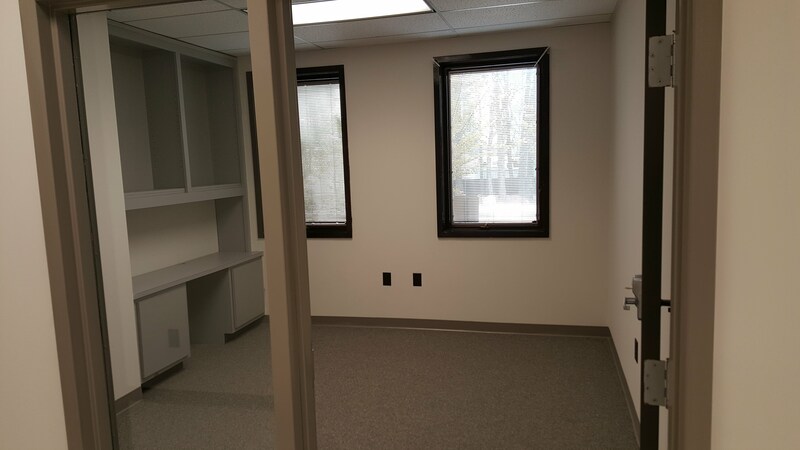 This 11' X 10' room is available. Please contact Michael Cady at 404-493-4069 or info@rehearselive.com for more info or to schedule a tour. Check back often for updated room availability!